Discover Papua - Papua is a wide and beautiful land. It has natural forests and the top of a snowy mountain soared high in the glacial lake. Papua is the largest and the most eastern province in Indonesia, includes the western part of the second largest island in the world. The word Papua itself is from Melayu language that means the curly hairs, and it refers to the physical appearances of Papua’s original ethnic group. There are a hundred airfields in Papua. Even, almost all of the regencies have their own airfield. Some of the biggest airfields are Frans Kaisepo in Biak, Sentani in Jayapura, Timika and Merauke that can be landed by big airplanes like Jumbo Jet, Boeing 737 and DC 19 from Jakarta, Surabaya and Makassar. Besides that, for the marine transportations there are some harbors in some regencies, that are Jayapura, Biak, Yapen, Merauke, Timika, Agats, Nabire and Sorong which can be stopped by some ships such as; KM. Nggapulu, KM. Labobar, and KM. Sinabung. Thos ships sail from various big cities like; Jakarta, Surabaya, Balikpapan, Pantolan, Bitung, Ternate, SOrong, Manokwari, abire, Serui, Biak and Jayapura. 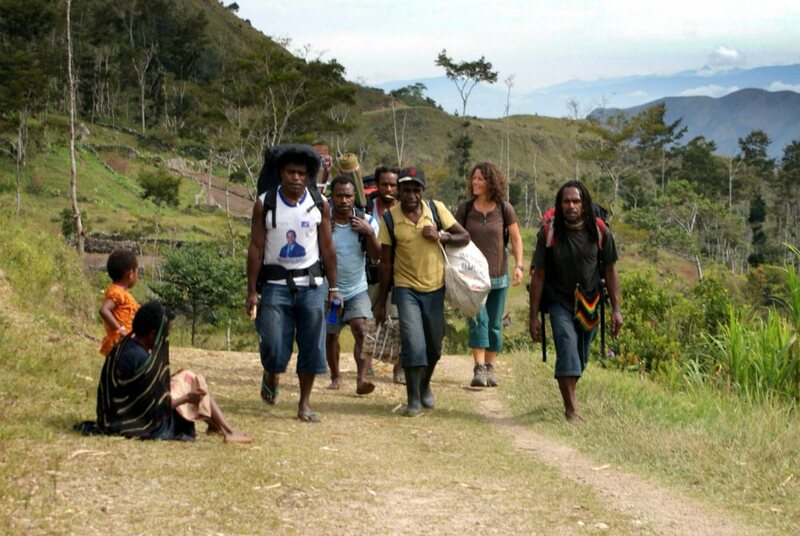 Papua society is divided into more than 250 ethnic groups, include Marindanim, Yah’ray, Asmat, Mandobo, Dani, and Afyat. Most of the different ethnic groups live in an isolated condition each other, so they produce various mixed-cultures. Foods made from fish and seafood are the special culinary in this region and make it the champion for seafood lovers. But, don’t worry if you got seafood allergic, because you can also enjoy the other Papua’s special menu such as; Papeda or chicken salad. 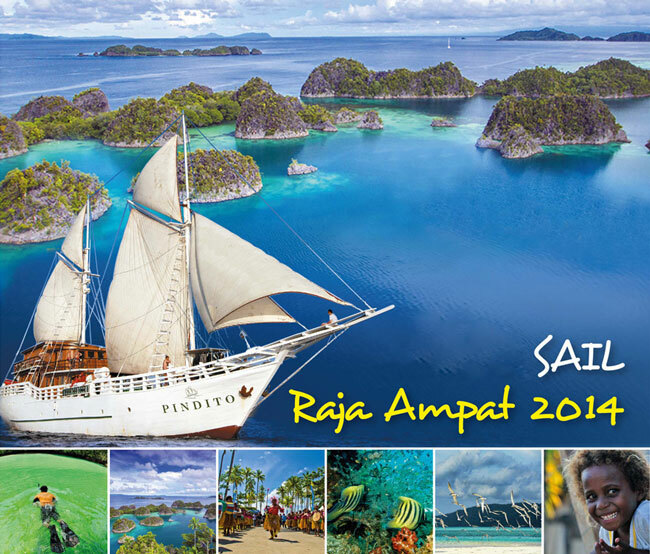 The untouched natural beauty has been the special appeal of Raja Ampat. This is the tropical paradise of the richest marine biodiversity in the world today. The landscape is very unique with endemic soil structure, diverse marine life, charming beaches, as well as a distinctive culture. The beauty is more perfect with the traditions and indigenous communities. Raja Ampat Islands are a series of four adjacent groups of islands located in the western part of the Bird's Head (Vogelkoop) Papua Island. This cluster is located in Raja Ampat, West Papua Province. You can do a lot of interesting activities in this area. Start form diving, snorkeling, fishing, sailing, kayaking, exploring the island by ship, watching the typical bird in Papua called “Cenderawasih” of “The Bird of Paradise”, enjoying the beauty of karsts around Wayag Island, exploring bat caves and feeding the KusKus. The region of the islands in the Raja Ampat includes 4.6 million acres of land and sea. This area is a habitat for 540 types of coral, 1,511 species of fish, and 700 species of molluscs. This is the live library of the coral reefs collection and of the most diverse marine life in the world. The four main islands in the Raja Ampat area are Waigeo, Salawati, Batanta, Misool which is the producer of ancient rock paintings. Raja Ampat Islands waters is the largest marine park in Indonesia and became one of the best waters for diving spots of the world. Coral reefs are rated as the most complete one on the earth, even 75% of coral species are in this waters. When you plunge yourself and dive underwater, please pay more attention to the details of welcomed-marine animals. The tourists dive every day because the dive sites are very wide and varied. The coral reefs are varied, so there are so many choices and invite visitors’ curiosity. Most of the tourists come from Europe. Even, they stay for weeks and even a month in Raja Ampat to enjoy the beauty of this archipelago. A lot of international underwater photographers capture the charm of the Raja Ampat seas. In fact, most of them come to this place many times and make a special book about the beauty of coral reefs and marine life of this region. The scenery and marine life of Raja Ampat is spectacular. Not only the charm of the underwater, Raja Ampat also offers the incredible nature panoramic, the spread of pure blue oceans, shining white sand like a diamond, charming cluster of islands and exotic floras and faunas.